Our restaurant has been family owned and operated since 1965. At Chapala's Mexican Restaurant we provide a warm relaxing environment and make you feel at home. 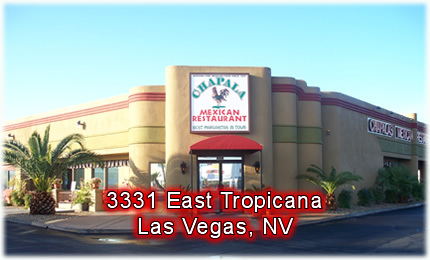 Our main goal is to make you happy and to make sure your experience at Chapala's will keep you coming back for more. It was in the early 70's when our family decided to come to Las Vegas and give the public the best Mexican food they had ever tasted! Today we still offer our customers mouth watering traditional Mexican cuisine! Our food has been the talk of the town for over 3 decades! Our customers always leave happy because when you're here, you're family! It is our pleasure to serve you with outstanding food from the friendliest staff in Las Vegas!